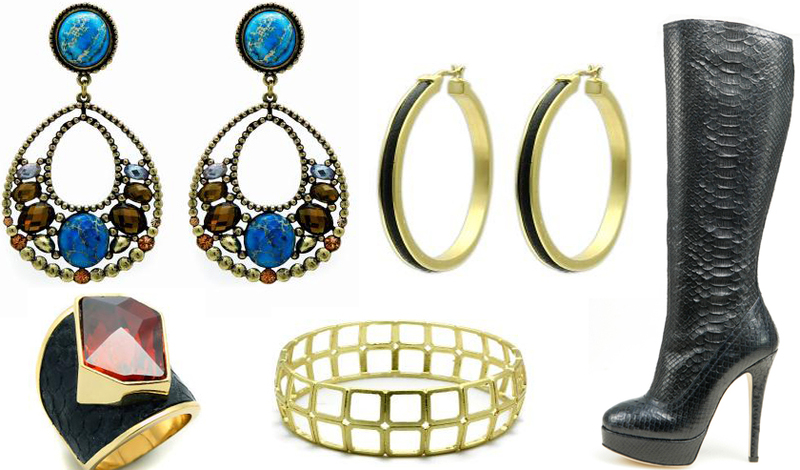 of 14-carat gold plated items, as well as trendy yet refined pieces, all at affordable prices. We loved the sparkle of Glittterrings, whose designs incorporated Swarovski elements as well as colorful crystal cuts on statement rings that cast a futuristic,and high impact look. broach from Bonnie’s private collection. topaz. In Ron Donovan footwear, you will find ideal winter boots, made of quality leather and exotic skins, and supremely sleek silhouettes.